Who is that dashing man playing Tony in "The Crown"? You might not know his name, but chances are if you’ve watched anything that calls for a strikingly handsome British gentleman with a mischievous twinkle in his eye in the past few years, you know Matthew Goode’s face. The actor is showing up on our screens again in the second season of The Crown, which is now available on Netflix(!!). Goode plays Tony Armstrong-Jones, Princess Margaret’s scandalous new love interest and, of course, a source of more drama for the royal family. The real Tony Armstrong-Jones first wooed the real Margaret at a dinner after he had been hired to photograph other members of her family. In Season 1, Margaret was devastated when Elizabeth nixed her potential marriage to Group Capt. Peter Townsend because he was — GASP — divorced. She vowed to “never marry anyone else,” but it looks like she mayyyyy have changed her mind in Season 2 (Historical spoiler alert: she does). And we don’t exactly blame her. Goode has played charming but roguish types before, and he’s rather good at it. In Downtown Abbey, he was a debonair but dangerous racecar driver, Henry Talbot, who convinced an aristocratic British woman (Lady Mary) to give marriage another shot. He was Finn Polmar, Alicia’s maybe love interest, on The Good Wife; Hugh Alexander in The Imitation Game; and George Wickham in Masterpiece’s Pride and Prejudice spinoff series, Death Comes to Pemberley. 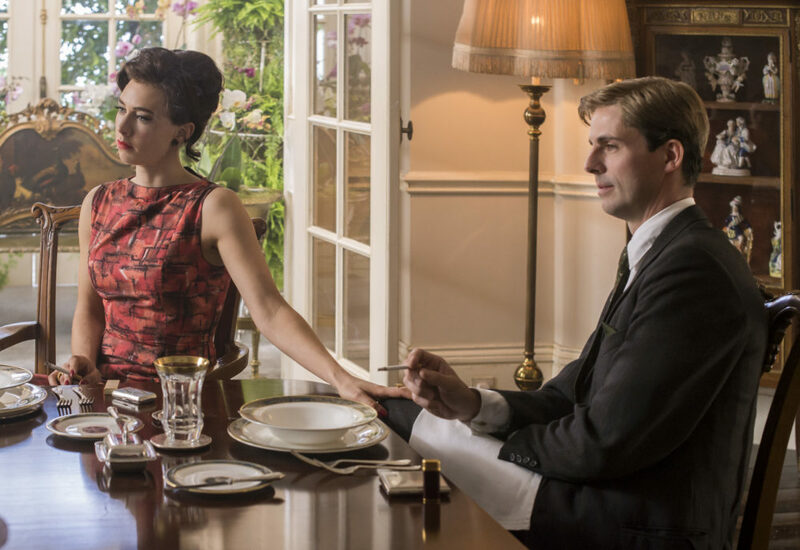 From The Crown Season 2 trailers, it looks like Margaret and Tony’s romance will put Elizabeth on edge. With the two lovebirds bonding over shared interests, like partying and rebelliousness, the relationship could spell trouble. In fact, in real life it would, eventually. Margaret and Tony married in 1960, but things got rocky over issues like adultery, and the pair eventually split. For now, though, the show will be focusing on the exciting beginning of that ultimately tumultuous relationship. And they couldn’t have picked a better man for the job.